Airbnb hosts in Buffalo and Amherst soon may have to follow new rules if they want to open up their homes to visitors. 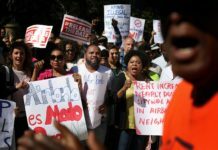 The city and the region’s largest suburb for the past few months have discussed whether and how to regulate Airbnb, an online platform that lets people rent out their homes and apartments to travelers on a short-term basis. Buffalo and Amherst officials say they’re not trying to get rid of Airbnb but, instead, want to impose some structure to the service. The leaders are working together because they want a consistent set of rules for the city and town. “There’s over 40 towns and villages, and cities, within Erie County. If every single one has different regulations, it’s very confusing,” said Joel P. Feroleto, who represents the Delaware district on the Common Council. Coincidentally, the Village of Williamsville also is exploring its own rules for Airbnb hosts. All three communities say guest safety is a primary concern. They’re focusing on plans to register, inspect and license any Airbnb property. They’re also discussing whether to limit the locations of Airbnb homes, in response to complaints from some neighbors. 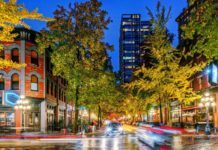 Owners of hotels and bed-and-breakfasts frequently complain that Airbnb hosts have an unfair advantage. They would welcome the regulations and, further, want Erie County to collect the bed tax from them. Some Airbnb hosts say they would accept regulation, and the tax payments, but others say they feel singled out. The hosts say they help, not harm, their communities. 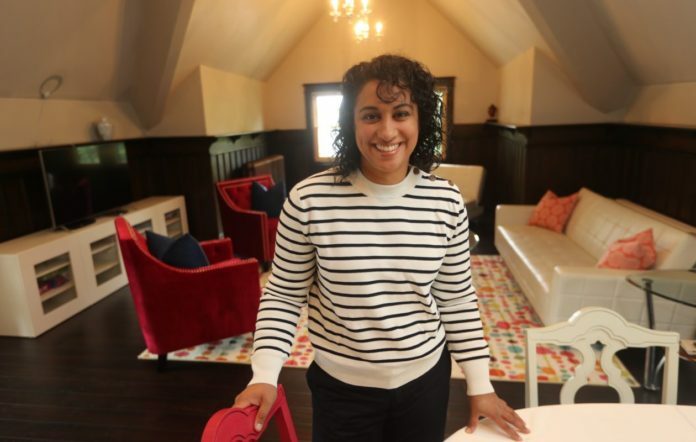 “The tourism end of it is amazing for Buffalo,” said Therese Forton-Barnes, an event planner who has rented out her Elmwood Village home for four or five years on Airbnb. Airbnb started in 2008 and now has more than five million listings in 81,000 communities around the world, according to the company. It’s the most popular of a number of home-sharing services available today. Airbnb connects guests to hosts, allowing travelers to focus their searches by neighborhood, room size, cost, amenities, pet-friendliness and other factors. Both hosts and guests rate each other after the rental experience, and hosts typically do whatever they can to earn and maintain a high star rating. Buffalo was second to New York City this summer in statewide Airbnb use, with 350 hosts handling about 29,000 guest arrivals, the company reported. Statewide, 1.2 million guests used the service this summer, up from 933,000 the year before. On average, New York hosts earned $4,100 this summer, up from $3,400 last year. Airbnb rentals in Buffalo have 35,000 guest reviews and received an average 4.7 out of 5 stars. The 300-plus homes that are available rent for an average of $101 per night. Summer is the busiest time of year for Airbnb hosts here. Rupinder Jatana said in July and August this year there were only a handful of days each month when the room she rents out was vacant. Jatana, a stay-at-home mother, and her husband, Navpreet, rent out the top floor in their three-story home in Parkside. Rupinder Jatana said renting out the space on a short-term basis allows them to keep a place for visiting relatives to stay while earning some income at other times. Jatana said they have to keep the space clean and furnished with everything from towels to toiletries and cereal. The space has two bedrooms and a full kitchen and Jatana rents it for $120 per night in the summer for six people. She said she earns an average of $900 per month, after expenses, from Airbnb rentals. “That’s why I say Airbnb in Buffalo isn’t uber-lucrative,” Jatana said. Forton-Barnes rents out part, or all, of her Elmwood Village home. She, like Jatana, is an Airbnb superhost, meaning they’ve met the highest hospitality benchmarks set by the company. Forton-Barnes charges $160 per night, for two people, for the smaller rental and $900 per night for the entire house, which has five bedrooms and can hold up to 12 guests. 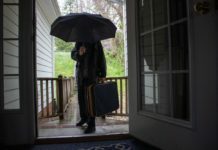 She said people coming into town for weddings, high school reunions and Bills games are some of the most common guests she hosts, with some business travelers during the week. Though Airbnb sets its own rules that hosts must follow, the system operates here largely without government regulation, officials said. Other cities have enacted tough regulations. 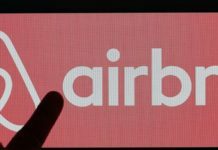 Paris, one of the largest Airbnb markets in the world, requires hosts to register their properties and adhere to a limit on the number of days the property can be rented. One lawmaker now wants to ban Airbnb from the city center, saying the room-sharing service is taking over the neighborhoods near tourist attractions. And Miami bars short-term rentals in most of its residential neighborhoods, limiting them to South Beach and other areas popular with tourists. 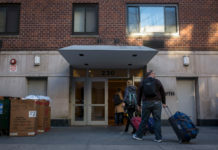 Violators face stiff fines, and the city recently pressed Airbnb and other platforms to enforce its regulations, or face their own consequences, Feroleto noted. The Buffalo Common Council held a hearing on the question in early 2017, after the owner of a bed and breakfast complained about the proliferation of the service here. The Council formed a group to study Airbnb, but the city did not put any new rules in place. Feroleto and Amherst Supervisor Brian J. Kulpa earlier this year started talking about possible regulations. Kulpa said he’d heard a handful of complaints about the service, but he wasn’t interested in shutting it down in Amherst. Instead, he said he wanted to make sure that guests are safe and that investors don’t saturate a neighborhood by scooping up houses and turning them into short-term rentals. He said he wanted to coordinate with Buffalo because it makes sense if the two large communities have similar rules for the service. “We started to say, OK, what are the city issues, what are the town issues, are they similar or are they totally different?” Kulpa said. Feroleto, for example, cited concerns about rental properties where the owner doesn’t live. Both he and Kulpa want to see the properties regulated and inspected. Code enforcement officers or building inspectors could check the condition of the house, the wiring and other connections and make sure owners aren’t illegally renting out attics or basements that don’t have sufficient entry and exit points. “The No. 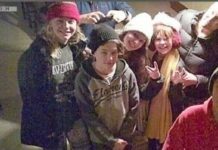 1 concern is safety,” Feroleto said. Properties that pass an inspection would receive a license or permit, the officials said, and likely would pay a fee to cover the cost of inspections and maintaining the registry. Williamsville Trustee Matthew Etu said he would look for similar regulations in the village. Etu’s work on the issue follows a complaint from one homeowner who has repeatedly questioned whether Airbnb is legal in Williamsville. Etu said the language in the village code is ambiguous, and he’d like to clarify the matter by amending the existing rental registry law. “The village isn’t on fire about this yet,” Etu said. He invited the owners of Williamsville’s dozen or so Airbnb homes to speak at a recent Village Board work session. He noted how well hosts maintain their properties and act as tour guides for their communities. “I’m looking at this, like, why is this something we don’t want?” Etu said. Jatana said she is open to a licensing process that includes registration and an inspection of her property, and she hopes Airbnb hosts can have a say in the new rules. 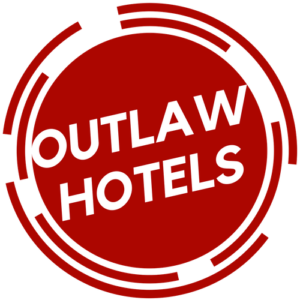 “It appears they’re more than willing to work with us for something that will be good for guests, hosts as well as the city,” Jatana said. But Forton-Barnes said she questions why the communities want to regulate Airbnb. She said officials are targeting the home-sharing service while ignoring Uber and other ride-hailing services. Any regulations would be subject to public hearings before the respective board or council could vote on them. Amherst has put together a draft policy that is set to be reviewed next month. Amherst and Buffalo officials have held a conference call with Airbnb representatives, and they’ve exchanged potential rule language, Kulpa said. 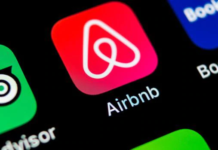 On a related note, Airbnb has reached out to Erie County to raise the possibility of collecting the bed tax from its hosts and remitting it to the county, said Peter Anderson, a spokesman for County Executive Mark Poloncarz. The company already has done that in numerous communities across the state and the country. Patrick Kaler, president and CEO of Visit Buffalo Niagara, said that’s a positive development from his perspective. He said the agency, whose board members include several hoteliers, commissioned a study in 2016 that found local Airbnb properties would generate $200,000 annually if they paid the bed tax. “It all comes back to health and safety and paying their fair share, as far as I’m concerned,” he said.